The AQUAvalve is supplied with all the AutoPot systems. 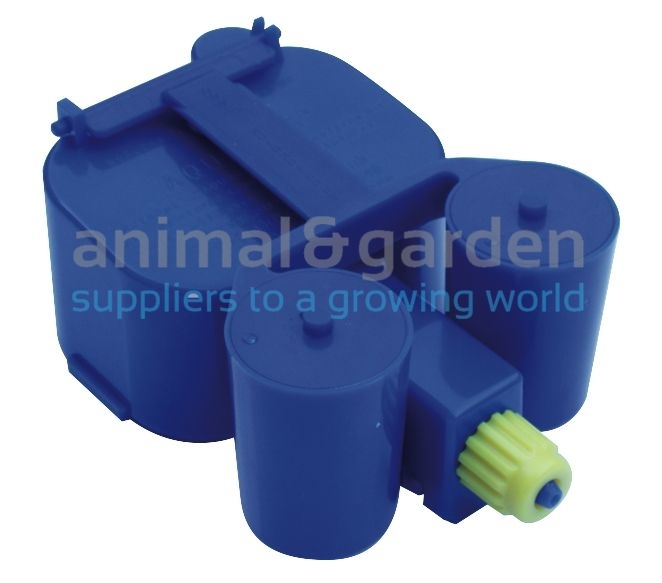 Once connected to the water supply the AQUAvalve will control the flow of water to the plants, by simple gravity pressure from a tank or water barrel, no pumps, mains water pressure, electricity or timers are required. Once connected to the tank the AQUAvalve will open and allow water to fill the tray, to a pre-set level of 20mm. When the level is reached the AQUAvalve will shut off and prevent any further water from entering the tray until all the water has been consumed by the plants.When all the water has been consumed and the tray is empty the AQUAvalve will re-open and allow more water to enter the tray. As the plants grow larger the AQUAvalve will open and close more often and will perform in accordance with the plants needs, filling the tray and then allowing it to completely empty before it is re-filled allowing the plants to go through a wet & dry cycle. At AutoPot we call this technology PCI or "Plant Controlled Irrigation".